Dore Westbury Mk1 Mill Restoration, finishing and one or two mods. Taking my first steps into machine refurbishment as I have a Dore Westbury Mk1 milling machine in desperate need of some TLC. For those that don't know, the Dore Westbury mill is a unique machine as it was sold in kit form and was designed such that it could be completed using a myford size lathe at home. This makes it a perfect candidate for first time referbishers as it's construction is very straightforward and simple enough for a newbie engineer/machinist such as myself to tinker with and fix. I will be deviating from the original build plans a little, as a result, I'll also be making a few tools along the way in order to perform the operations that don't appear in the build notes or technical drawings, so this could be quite the adventure. I'm about halfway now and will keep updating this post as and when new material has been uploaded to my channel. 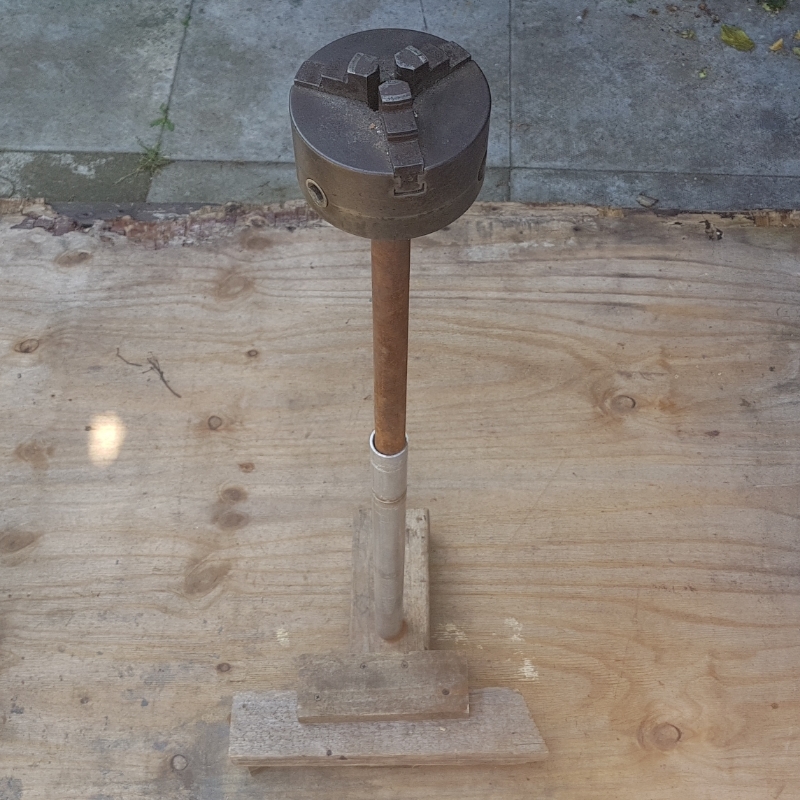 Re: Dore Westbury Mk1 Mill Restoration, finishing and one or two mods. Much as I like videos, I always think Youtube videos should be an adjunct to a project thread on a forum, rather than the substance. Otherwise forums will eventually just consist of links to people's personal Youtube channels. In case anyone cares, I have unnecessary scripts turned off in my browser. So your YouTube embeddings appear as blank black spaces to me. I don't see what you're posting and generally won't follow the links or comment if it's only videos. So....any chance of a build thread? Sounds like a great subject.....that would be awesome! And I thought it was just me being a grumpy old fart! I cringe when videos start with totally irrelevant 'effects' and more often than not stop watching at that point ! It's akin to every technical program on TV these days being 'a show' and appealing to the lowest denominator rather than being factual and informative as they should be. 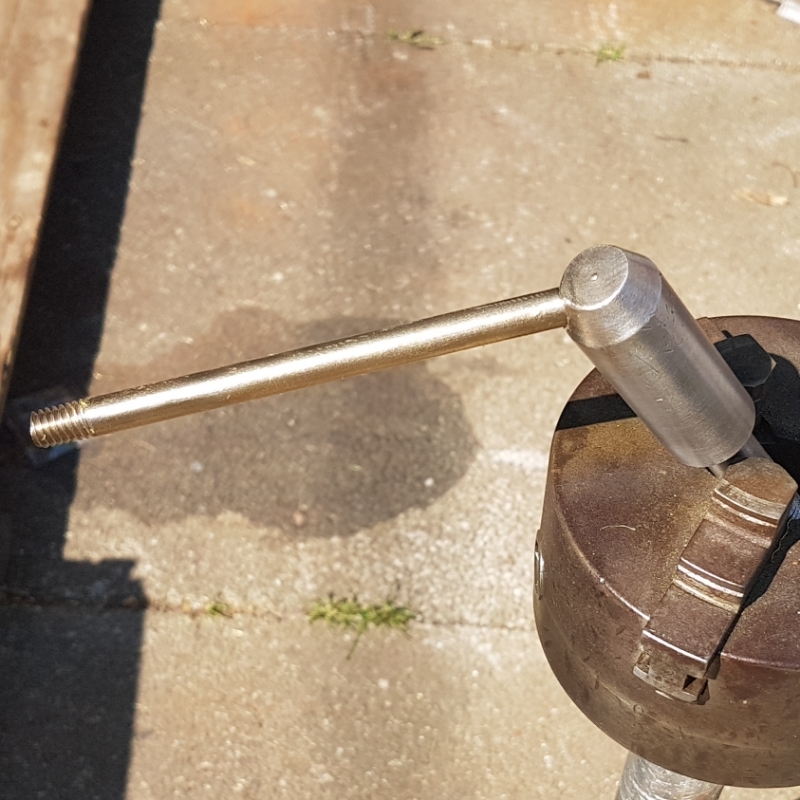 Well, it's mostly been stripping, cleaning and painting so far (going with a black and brass colour scheme), though the last two videos show a new, simple and rather unique way to do brass plating at home with just a blow torch, drill and a brass wheel brush. The original plans call for a brass piece which is drilled and filed to include the keys that fit the slots either side of the spindle shaft. While the original design and method of the part's construction lends itself very well to even the most meagre of equipped home shops, I'm going to deviate and use actual key stock. 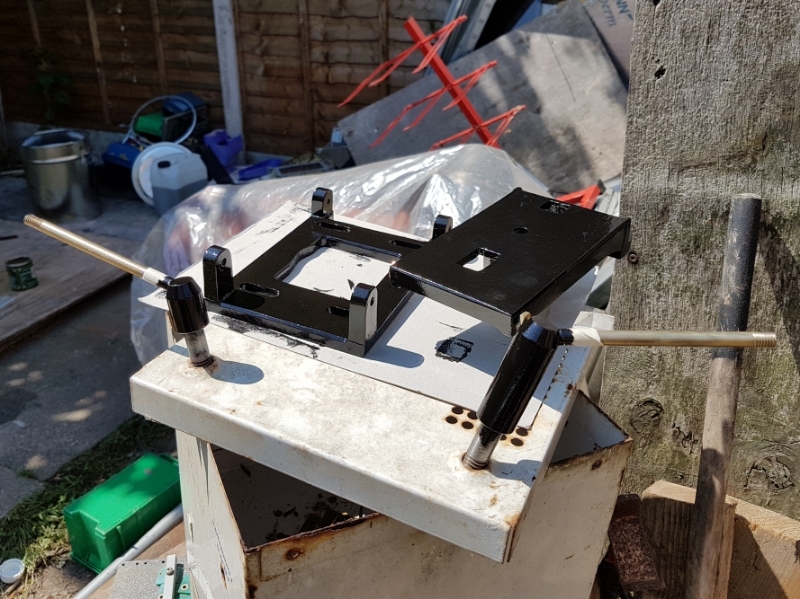 This part is actually quite involved and I'll need to finish making my keyway slotting attachment (made a start on the base and cut the radiused slot for the ram tube) and make transfer pins and screws to ensure the new holes line up with the pulley's geared drive tube in order to finish it. 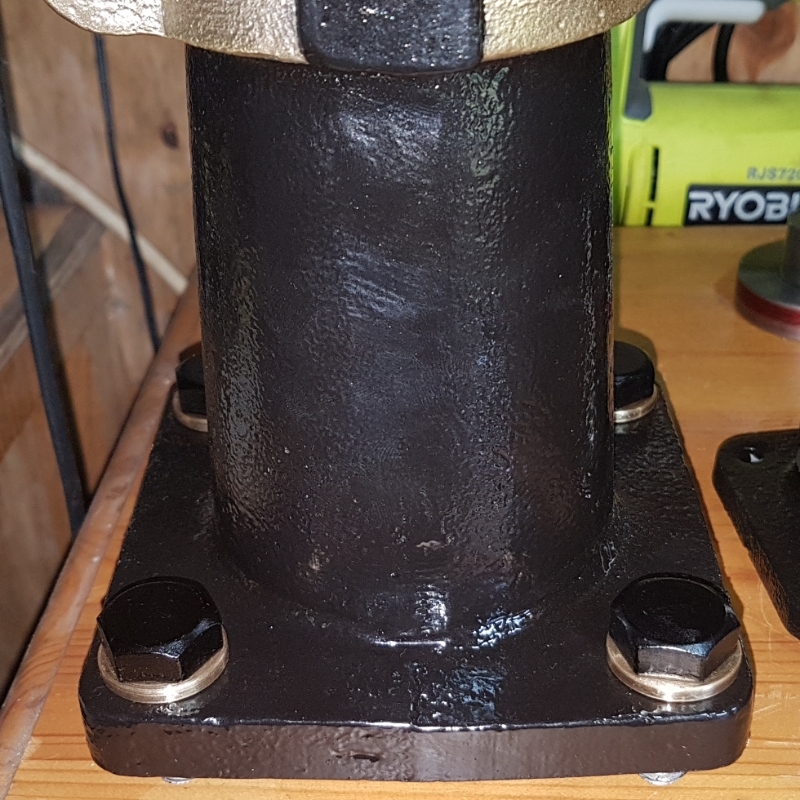 My next move is to heat black the bolt heads for the column support casting with boiled linseed oil, which will be featured in the next video, along with some footage of the above parts being made. That looks to be a major discrepancy in the bearing size. It's rather important that the quill bearings are very rigidly supported. My pleasure, I prefer the forum format anyway really. I've been concentrating on developing my YouTube channel recently and used the restoration as a platform as there's very little on YouTube regarding Westbury mills and felt others might benefit. I hadn't planned on posting the restoration on forums and as a result I haven't any WIP pics of previous progress but I have a few mods planned that you guys might get a kick out of, hence starting the thread. I'll have to come up with a plan b for bearing shims as McMaster don't do them in the size I need. Largest imperial they have is 1.1/8" and my bearings are 2.24" OD. Canobi, what is the difference in diameters that you have? Seems to me if they are the right thickness, and uniform in thickness, that multiple shims are no less secure than a corrugated whatzit. 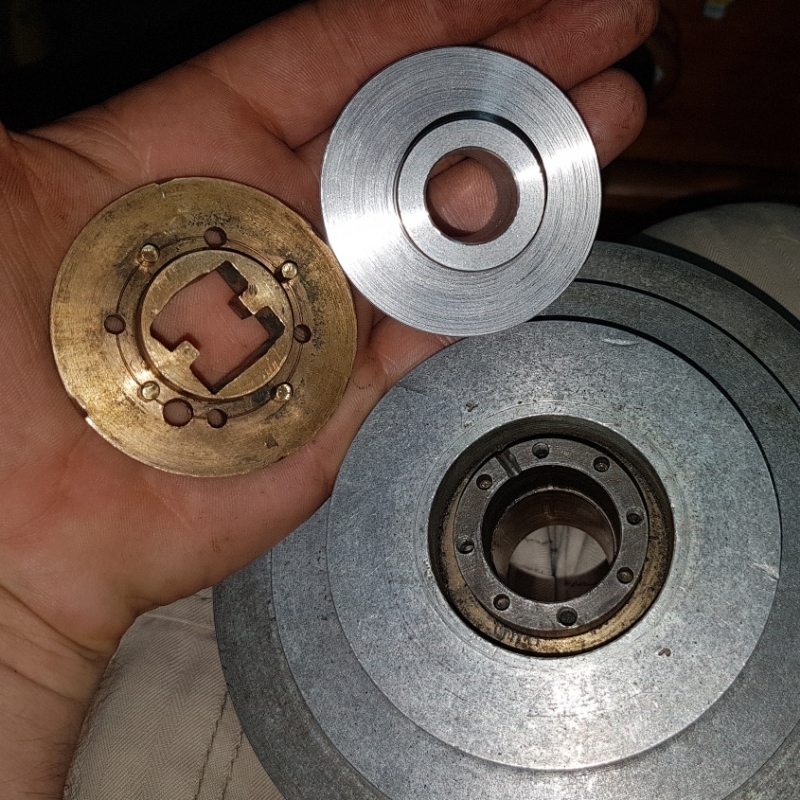 The main thing is that the bearing is central to the quill and aligned with its couterpart, that its face hits a proper register, that the outer ring won't spin, that it is supported enough not to distort from pressure of the rollers. I don't see anything wrong with your multiple shim idea, except that I would suggest more of them so the gaps between them are minimal -- so the rollers won't distort the outer ring. 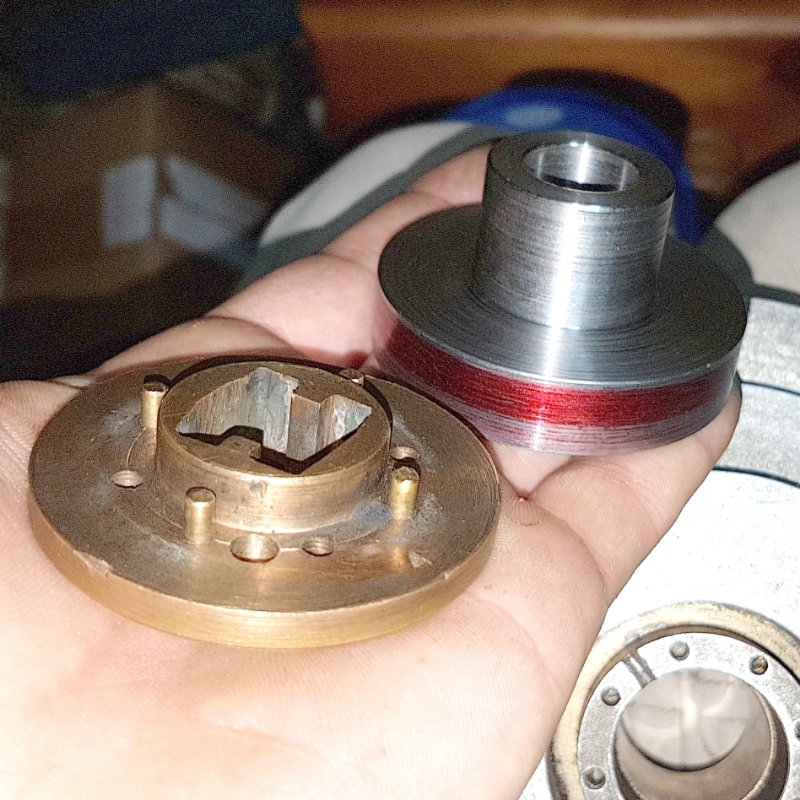 The face register should align the bearing (if proper itself), the shims if sized right and uniform thickness should prevent spinning and should keep the bearing centrally located. The OD of old bearings is 2.25", new ones are 2.24". Yes I was asking what is the size of thfe bearing and the housing, not the other bearing, and in thousandths at leasr, not hundredths. The fault lies with me, they were indeed touted as 2.24" (from simply bearings in fact) and being a noob I just assumed they would be the same as the old ones. 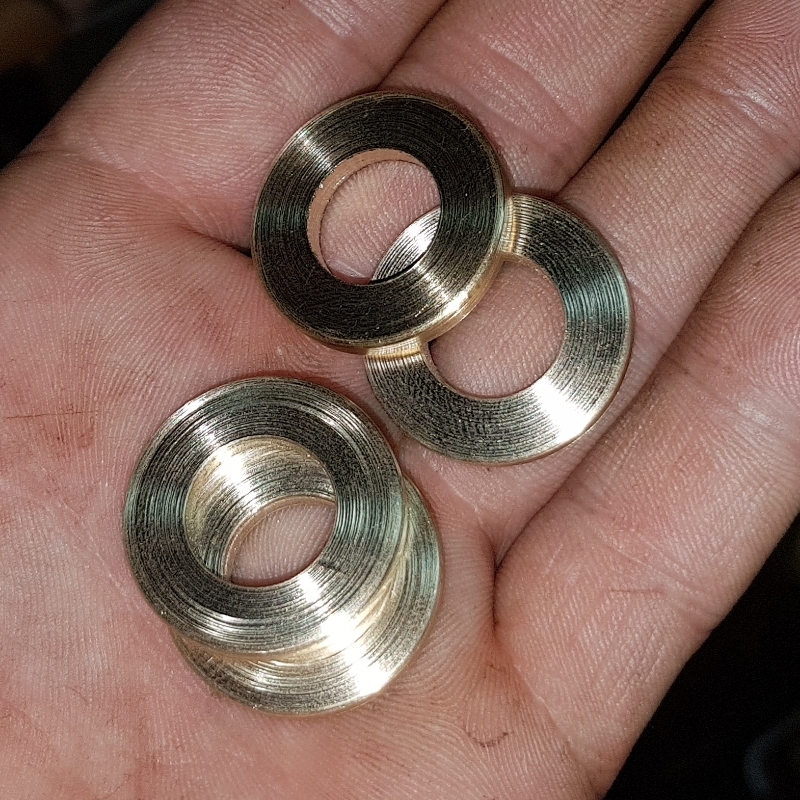 Took a fair bit of searching last night and this morning but I finally found and acquired a pair of tolerance rings that were the correct size for my bearings, so I'll be carefully extracting the new races from the quill later. 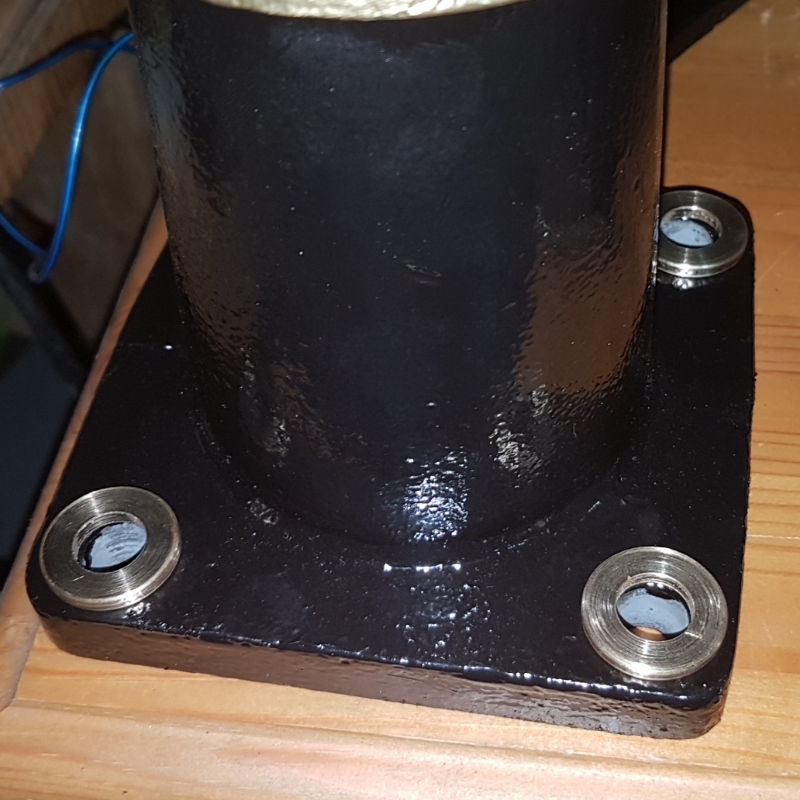 I heat blacked the column support casting bolts today and my rig turned out to be very useful. Wasn't too happy with the results of the first try though, was more dirty brown than solid black. I changed it for a fresh silver one and this time I brushed off a dirty white looking oxide layer that develops as it gets hot. 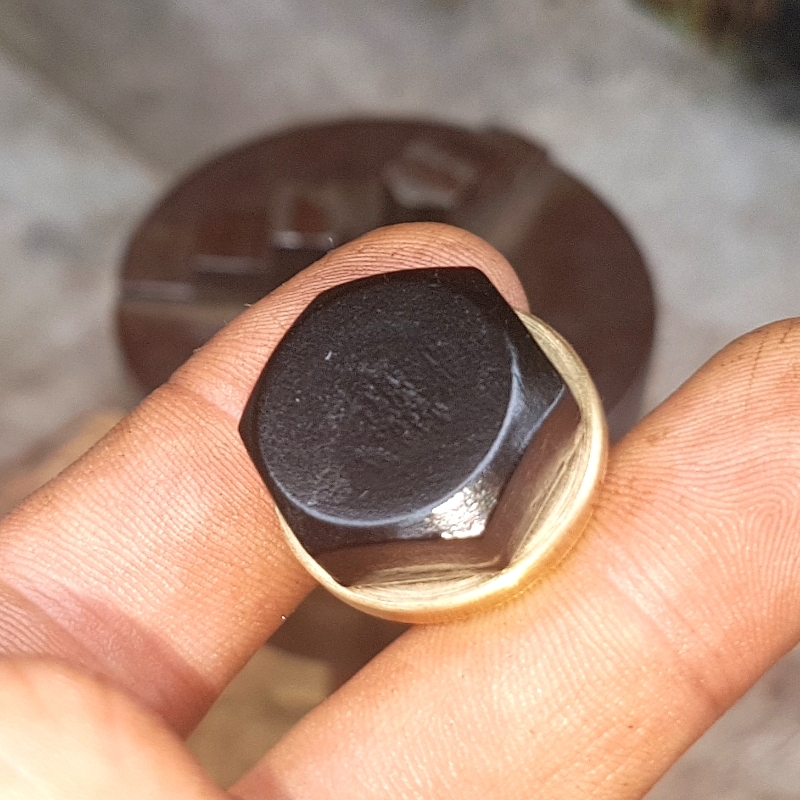 I also sunk more heat into it, this time I waited till the bolt head went from turning a dark straw to just touching the blue zone temps, then hit it with the oil cloth and then the torch to scorch dry the oil in an alternating pattern. The black built up relatively quickly after that and I found the first sign of a good take is that as the oil dries, it develops a matt finish and dries really quick, then after a short while, dries to a nice gloss finish. At this point the blacking is essentially done, but for a deep black and slightly more enduring coat, I added a further 15 wipe overs and then dropped it in the water to cool off. Is the brass finish on the cast iron electrically connected to the base or is it over an oxide layer? Don't wish to carp about videos but please bear in mind that youtube doesn't have a fast forward like a PVR so you need to do the fast forward through the boring repetitive bits for the viewer while making the original edit. You can however drag the video time line to skip through, or go back, in YouTube videos. Beeshed, it's applied by heating the iron casting with a torch and spinning a rotary brass wire brush held in a drill against it. Folks should understand that differentially heating an iron casting with a torch can cause it to crack. Cast iron has poor tensile strength, and while heating it uniformly is usually not a problem, heating one section causes that area to expand while the cooler part does not. This cause tensile stress, and cast iron while high in compressive strength, is poor in tensile strength. In the video, Canobi is heating only bands on the casting with the torch. Luckily there is a slot running down the casting here, and so axial expansion is easily accommodated without building up a lot of stress. How much differential heating can be accommodated by a casting will come down to the specifics of casting dimensions and the amount of heat, as above. But it is important to realize that cracking can happen. A better approach is to heat an iron casting more or less uniformly by playing a torch over more than just a small area. And letting the whole cool slowly -- a favorite approach I use when brazing, or welding is heating uniformly, and then to bury the part in wood ashes to cool. These insulate and slow the cooling rate. Castings seem to crack most often in the cool down stage. Thank you for the info regarding heating iron castings vtsteam, I didn't realise I'd dodged a bullet there. I don't think I'll be doing that to cast iron again, well maybe not until the cold season at least, where I have a ready supply of hot coal ash to bury the hot parts in. The fail was due to a combination of things. Firstly, there's no way to mask off areas you want to leave untouched , unlike when painting a part. 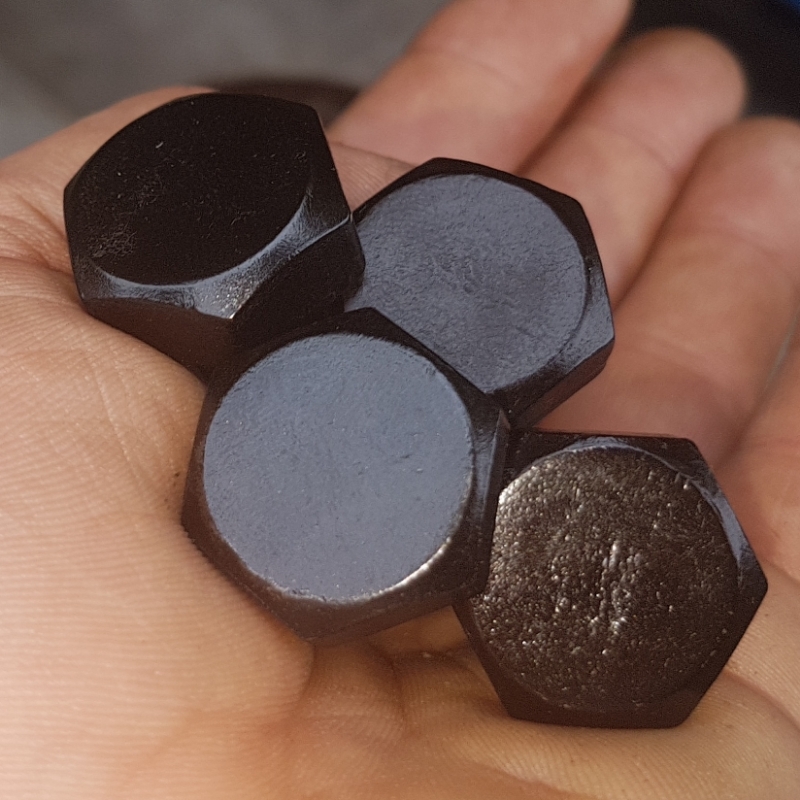 The second was an unknown factor, the steel just didn't want to take the black. 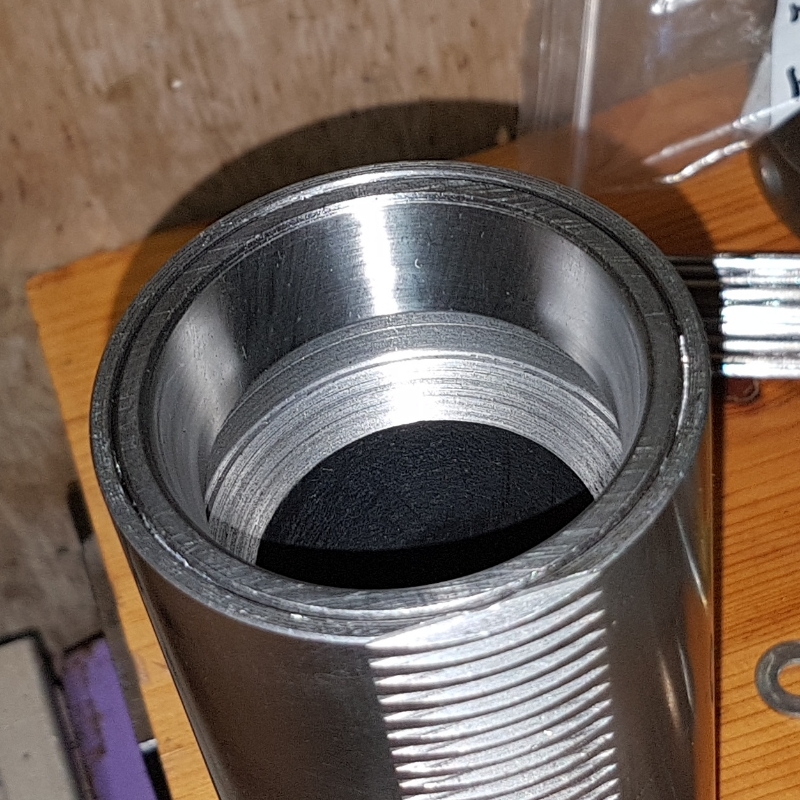 I had to use a scotch bright to buff off a light amount of flash rusting before I started heating and coating it so my initial thought was that it was mild steel but could it be a form of stainless perhaps?